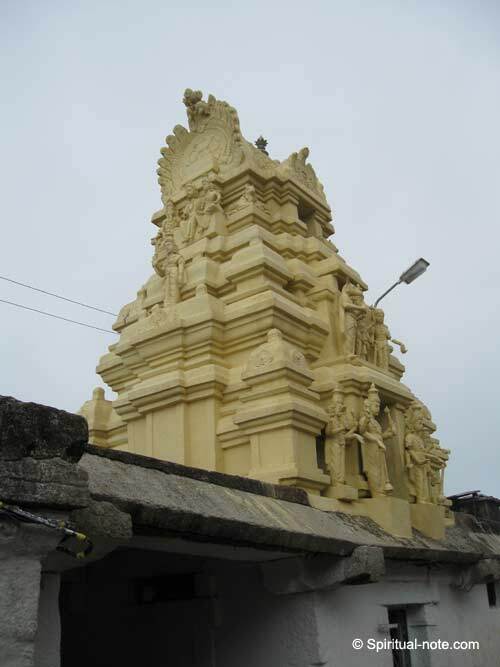 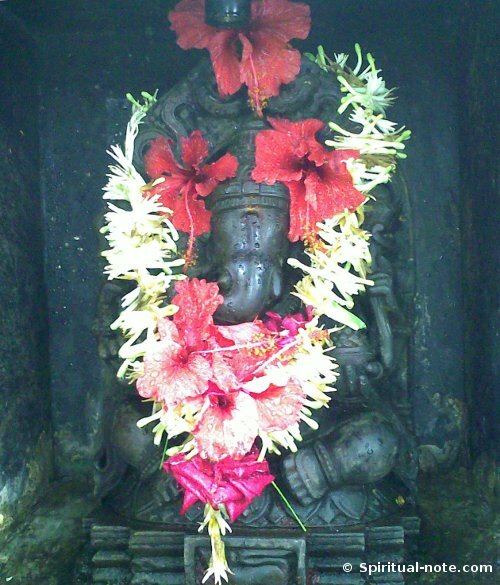 This Ganesh is in the Nandikeshwar temple on top of Nandihills. 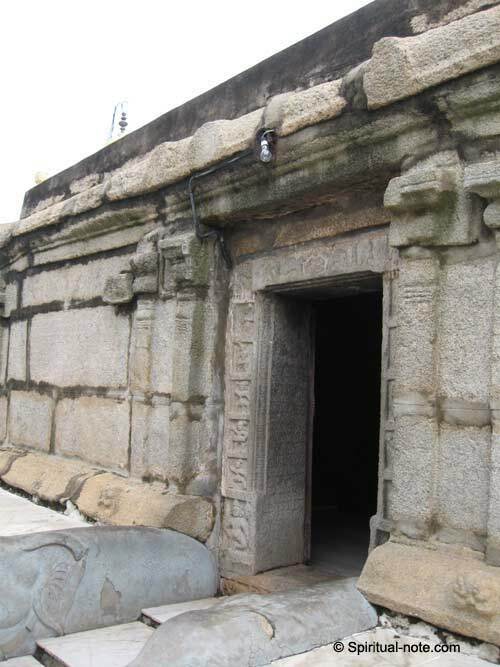 Nandihills is just 45 km from the city of Bangalore. 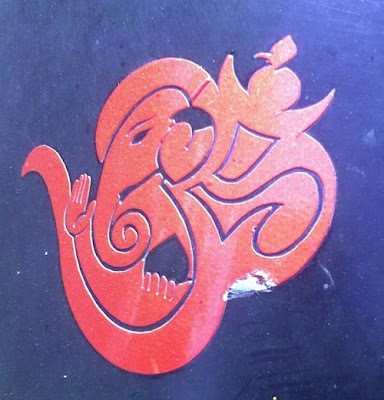 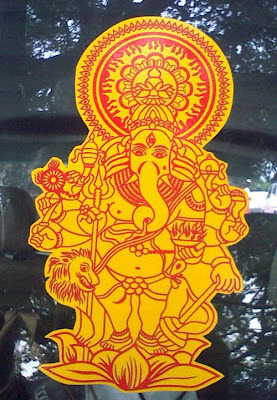 These are some of the designs of Lord Ganesh that I have seen on vehicles and most of the photos are taken with my mobile camera. 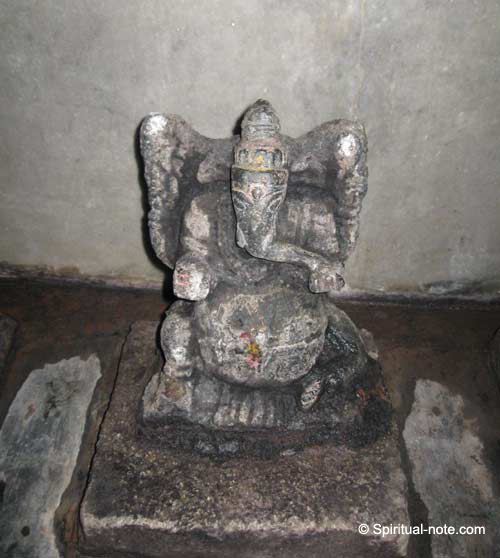 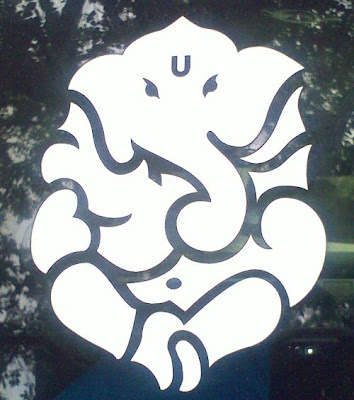 This Ganesh is in a very small temple in Gandhinagar, Bangalore next to Sapna bookhouse.